It’s hard to believe that the Bloom Festival has come around again so soon. It was such fun last year and if the long term weather forcast is to be believed it will be a good week-end to be out an about. 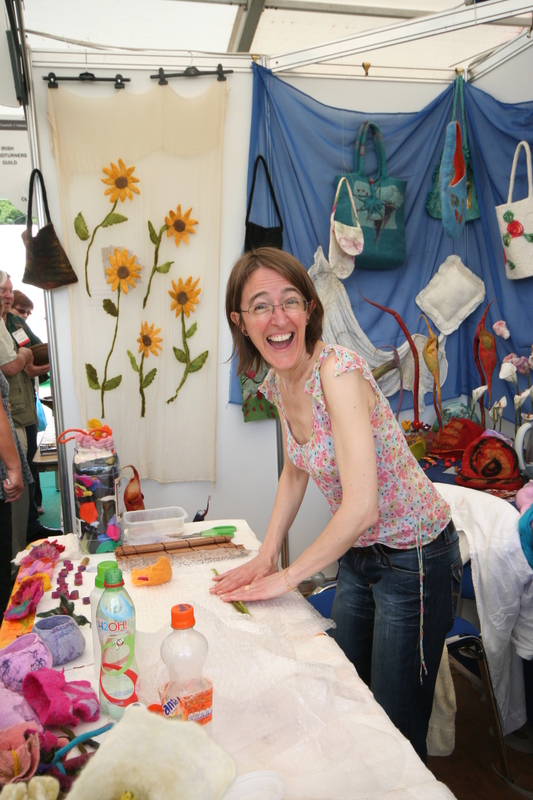 We will be having felt making demonstrations on our stand for the entire duration of the festival and have had brilliant support from our members volunteering to help out. There are a couple of gaps in the schedule so if anyone is free on Friday 29th from 4-6, on Sunday 31st from 4-6 and on Monday 1st June from 12-4 please get in touch with Eleanor at ellieroche@gmail.com. Anyone coming to Bloom can bring their felt work for display on our stand. Don’t forget the sun cream! See you there!